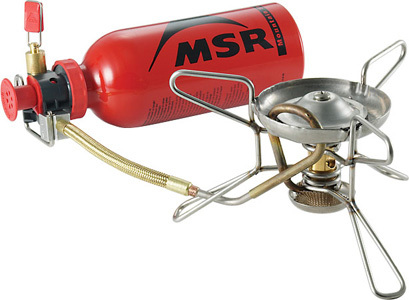 One of my favorite items of camping gear (which we brought on our recent motorcycle trip) is an MSR Whisperlite International camping stove. The "international" part refers to its fuel versatility: it runs on the clean "white gas" liquid fuel found in some American camping stores, and also on regular gasoline, kerosene, and diesel. The compatibility with gasoline makes it perfect for road trip camping, because (as long as the tank's not empty) it's always possible to siphon gasoline from the vehicle. 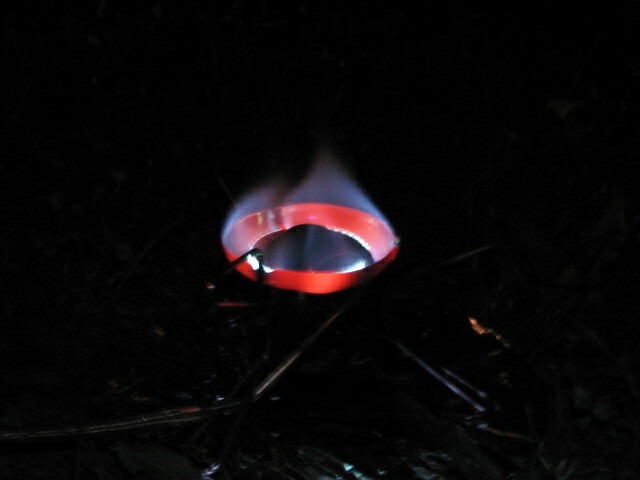 So, how do you siphon gasoline? The basic principle involves a suction (to pull the liquid into a tube) and gravity (to continue bringing it from one end to the other without a constant pumping). You could buy a siphon pump to do this. I've done that in a past but that takes up precious space. So, not wanting to inhale any more high-octane fuel (gasoline in Argentina, like most non-U.S. countries I've seen, starts at 95, not 87 like in the U.S.), I looked around our campsite for ways to fashion a siphon pump. The two necessary components (besides the plastic tubing) were right in front of me: a soda bottle (previously used for water), and duct tape. Our kitchen rack, featured in Craft!